Container crane boom broke during cargo handling operations of the boxship Maersk Karachi in Bremerhaven Container Terminal in Germany. After the accident the crane operator fell with cabin from over 50 m height and died. The port rescuqe team needed several hours to reach the man under the fallen container bridge. Also the accident caused sufficient damages of the container vessel Maersk Karachi after the boom and operator cabin fell into the bottom of the cargo hold. The seamen from the vessel were not injured during the accident, but ship will need to be repaired before resume voyage. The traffic in the area was disturbed, as local authorities and police department started investigation for the accident. Container ship Maersk Karachi (IMO: 9162215) has overall length of 299.90 m, moulded beam of 42.83 m and maximum draft of 11.00 m. The deadweight of the vessel is 94,769 DWT and the gross tonnage is 80,942 GRT. 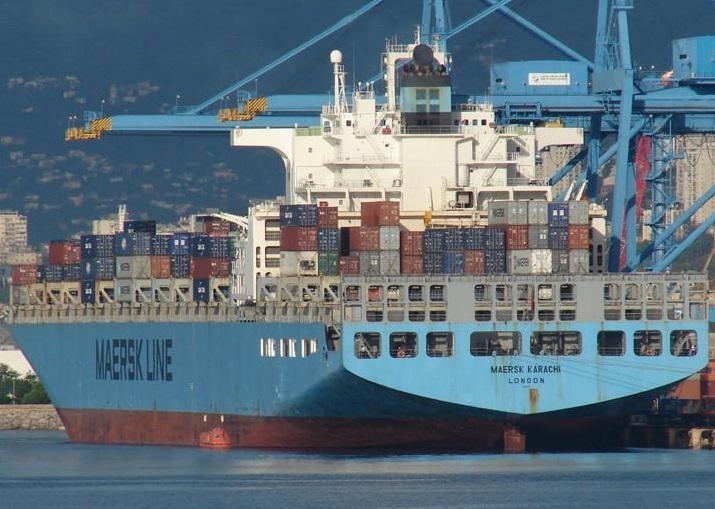 The ship is operated by Maersk Line and will be delayed after the accident.